In a previous post we collected ideas for projects we could tackle together diring Contributor Day at WordCamp Europe 2018. We had a couple of comments and we threw a few ideas around during our most recent chat (recap to be done). Thanks mainly to @andreamiddleton we have a number of tasks, now we need some “squad” leads. I will ping some of you in the comments and in Slack to see if you are up to leading one of the initiatives. I will also add a card for each task in the brand new Trello board for the Community Team. The Trello board is a work in project and I just started it, bare with me… we will ask someone from the Marketing Team how they manage theirs so we can get up to speed asap. Here is the list of the tasks: for each one I tried to add the relevant links so we don’t have to waste time looking for them on the day. If there is already someone attached to the task I added their names as well. summarize proposed 2018 goals, check if someone is actively working on them and add them to Trello. The Community Summit is going to be hosted in Paris just a few days before WordCamp Europe, on 13 & 14 June 2017. We are at the stage now where all contribution teams are being asked to finalise their topics for the Summit, so that is what I would like to do here. The deadline for final topics is 9 June 2017. 1. Which of those topics do you think we could sort out in a Slack and/or P2 discussion before the Summit? 2. Are there any additional topics that you feel are important for us to discuss at the Summit? The main purpose of the summit is to move the project forward before and after the event, with the event being a milestone in a larger set of work. WordCamp Europe is hosting a Contributor Day on Thursday, June 15th (info here) — let’s start thinking of projects we can work on while we’re there! I think it might be good to host an in-person meetup orientation as well as (if possible), an in-person deputy training session. meetup best practices list for: running meetings, finding speakers, etc — essentially in which the best practices list might be created by meetup attendees answering a survey with questions like “what topics interest you,” “what were your favorite meetups last year,” “what meeting times/dates are best for you” — essentially our year-end survey, with some additions? testing the speaker application plugin? maybe? Like I said, this is totally just a first pass. 🙂 Please please please suggest project/task ideas in the comments below! We’re happy to share with you that the next WordPress Community Summit will be hosted by WordCamp Europe 2017 in Paris, France. 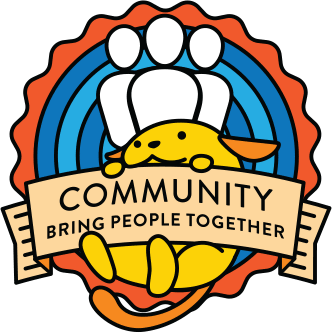 The 2017 Community Summit is still in its early planning stages but more information will be posted here and on WordCamp Europe 2017 as it becomes available.